211 Bernard: TONIGHT! 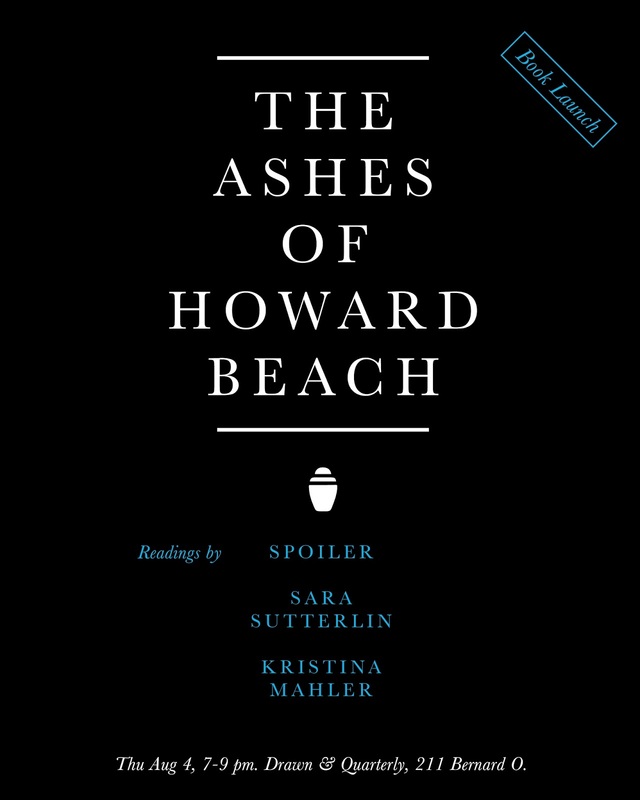 Spoiler Launches "The Ashes of Howard Beach"
TONIGHT! Spoiler Launches "The Ashes of Howard Beach"
Join us to celebrate the Montreal launch of Spoiler's first book "The Ashes of Howard Beach"! The evening will feature readings by Spoiler, as well as Kristina Mahler and Sara Sutterlin, author of "I Wanted to Be the Knife," and "Baveuse". Free admission - wine will also be served.